Can Australian family businesses learn from their Asian counterparts when it comes to Transition? Asian family businesses have been in the spotlight recently since recent research has shown that they are major drivers of growth and wealth creation in the region. A Credit Suisse report shows that some of the biggest global brands are family owned, including Samsung Electronics of South Korea, Tata Consulting of India, and Wilmar International in Singapore. In regions like Southeast Asia, family businesses are not only the backbone of the economy, but have also acted as important social and economic agents of change. Asian family businesses are most commonly found in the financial, industrial, consumer staple, and discretionary sectors. Studies show that they have a limited exposure to capital-intensive sectors such as energy, telecom, and utilities in large part because of the highly regulated and state-monopolized nature of these industries. Unlike their Australian, American, or European counterparts, which may be in their fourth or fifth generation, many Asian family businesses are still in their first generation cycle, with many less than two decades old. While there are obvious national differences between family businesses, there are some useful parallels that can be drawn between Asian and Australian family businesses. Though it’s hard not to admire the success of Asian family businesses, a shadow is looming on the horizon – that of age and succession. Most Asian businesses are lead by a patriarch who intends to work in the business until his dying day. Succession plans are often ambiguous or left vague because discussing the potential death or incapacity of an elder is taboo and can be seen as bringing misfortune. This lack of succession planning is turning out to be very problematic for many firms. A recent study of 200 publicly listed Asian family businesses found that, on average, these companies’ stock lost nearly 60 percent of its value during the years before and after the transition from one generation to another. This issue may be even more dire among smaller family firms. In China, where many family businesses were born during the economic reforms of the 1980s, an entire generation of firms could be facing succession at the same time, creating significant risk to economic growth. Asian family businesses may also have greater issues with non-family successors than their non-Asian counterparts. Outgrowing the skills and resources of the family is a commonly cited challenge among Asian multigenerational family firms. However, the idea of separating ownership and management and bringing in non-family directors can be a difficult concept to sell to family members who want to retain the perks of a guaranteed job and income. One third-generation family’s solution was to list the business on the Hong Kong stock exchange, thereby bringing in outside directors while instituting an ownership and dividend policy for family members. While most family businesses are still founded and owned by men, shifting societal attitudes mean that the roles that women play in family businesses may be changing for the better. While many family patriarchs still espouse traditional attitudes towards filial duty, harmony, and defined gender roles, those attitudes don’t preclude their daughters from attending prestigious universities and business schools abroad. Many have gone on to success in demanding roles at multinational firms. However, for many, the siren call of family and duty eventually brings them home to less-defined roles in the family firm. Many of these women, who may have started their careers in the West, feel hampered by the glass ceiling of tradition, which favours their male relatives. However, more and more family patriarchs are realising that sustainable multigenerational family businesses require the skills and experience that women contribute. Thus, many female members of Asian family firms are becoming more empowered and are less likely to face the difficult choice between tradition and modernity. 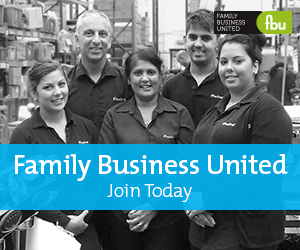 What can Australian family businesses learn from their Asian counterparts? A great deal, it turns out. As in Australia, regional experts have developed ownership and succession models but many Asian family business leaders see themselves as too busy to tackle the subject, leaving them at serious risk of succession failure later on. Like Australian family firms, Asian families struggle with passing intangible family capital from one generation to the next. For many families, the success of the business is predicated on the skills, charisma, and personal network of the founder, something that the next generation may find challenging to replicate without advance mentoring and training. While we don’t see the same level of succession taboo in Australian businesses, nurturing a family’s patient capital through mentoring, values assessment, and professionalisation of business roles remains a critical issue at many firms.